In most 360-degree feedback processes used for developmental purposes, the participant is the only person who gets to keep a copy of the individual summary feedback report. Sharing reports can come in multiple parts, so that only some portions can be shared in one chooses to and feel more comfortable. The different parts of the report/results can include content of the report, executive summary, distal portion of the results, and the action plan. For example, if a participant is uncomfortable with sharing results, he or she may feel more comfortable to share an executive summary, rather than details of the content. In some cases, the report might be made available to an internal or external coach the participant is working with or a trainer or facilitator who is conducting an organizational workshop. It is typical for talent management and succession planning purposes that a copy of the feedback report might also be made available to one’s manager or the human resources department. Of course, a participant who has a good relationship with his or her manager and engages with the manager as a performance coach will be expected to openly share his or her feedback report, whether formally part of a 360-degree feedback intervention or not. An issue of concern that often comes up in my coaching practice has to do with the sharing of the 360-degree feedback report. Generally, the only person that can see the report is the participant. However, in many cases, the HR representative and/or participant’s manager wish to see the results of the report. 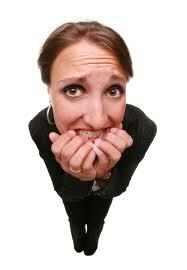 This may lead to the participant feeling anxious and uncomfortable to feel exposed by his or her manager. My clients have shared concerns that showing their 360 results place them in a position where their manager can hold anything against them. Furthermore, they feel that they were promised confidentiality and would prefer not to share their results. On the other hand, managers would like to see the results in order to be involved in their development and hold them accountable. So, how do we balance the two? For one thing, it is important to clarify all boundaries regarding sharing 360 degree results during the contracting phase in order to avoid any conflict of interest after the 360 feedback results. In addition, if a participant is uncomfortable to share all aspects of the results, it’s a good idea to encourage him or her to share only aspects of the report. For instance, many participants are comfortable with their manager to see their quantitative data, but are reluctant of sharing the open-ended comments. What has been your experience with sharing 360-degree feedback results?